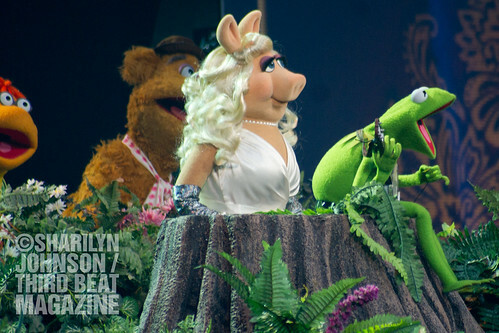 The Muppets, live on stage along with their Muppeteers, had Place des Arts in the palm of their little felt hands as they hosted the Thursday night gala at Just For Laughs. Despite not being intended for kids, there were some little ones in the crowd. 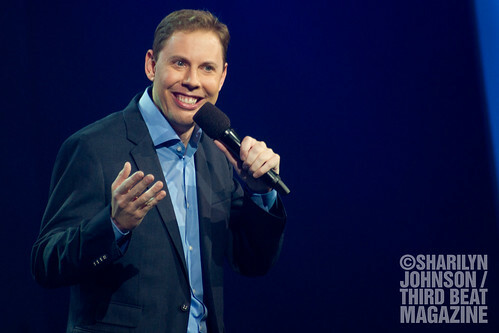 During JFL co-founder Andy Nulman’s warmup, he reminded folks that the comics they were about to see had worked their whole lives to be there, and pleaded with parents to take fussy kids out of the room if needed. It worked: the early show was thankfully disruption-free. 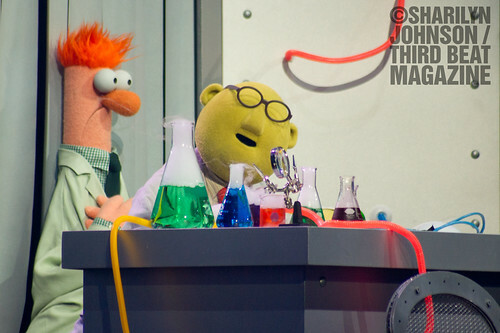 Not that anything could have detracted from the Muppets themselves. Opening the show with the traditional Muppet Show opening theme song, including the multi-tiered Hollywood Squares-style set, the realization that we were all watching THE Muppets hit the audience hard. Trust that some eyes were moist right off the top, and many overflowed during the finale of Rainbow Connection. 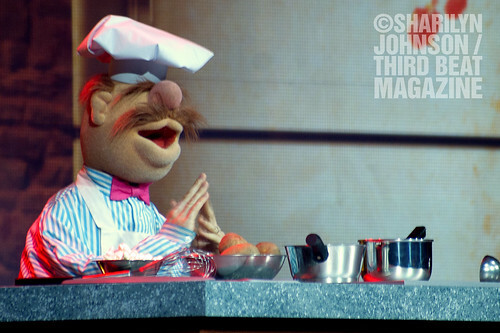 In between, the Swedish Chef cooked up some poutine, Gonzo planned a performance of Cirque du Poulet, Fozzie Bear was heckled by Statler and Waldorf (sitting in the actual balcony), and Kermit and Miss Piggy had their typical lovers quarrel. 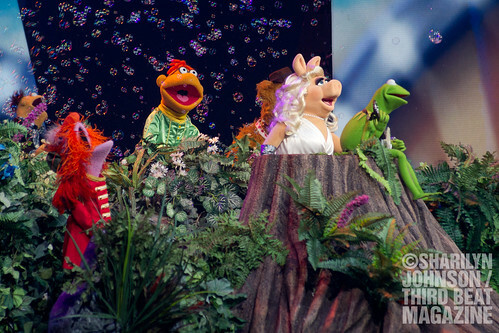 It was everything the audience could possibly want from the Muppets, with the added fascination of watching the Muppeteers do their things. Clad in all-black and strategically un-lit, it was still hard to resist the temptation to watch their mouths move in sync with the characters, and see that “oh, right, I suppose it WOULD take two guys to accomplish that”. To blatantly steal the words of an attendee on Twitter: the audience had a childhood dream come true that we didn’t even realize we had. The comics on the bill (oh, right, them!) weren’t overshadowed by the giant spectacle. But much like the last time I saw him (back in Toronto in 2009), he threw me with another case of what I’ll hope is parallel thinking: how a broken escalator isn’t really broken, it just becomes stairs. It’s almost jarring for anyone to use that premise in a post-Hedberg world. (How does this happen?) Not that the audience seemed to mind, and the moment was overshadowed by his clever musings on religion and hymn singing. 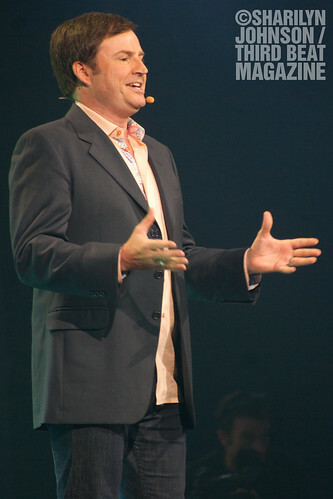 Greg Morton is looking svelte these days, and talked primarily about becoming a vegetarian and using a bidet – complete with his trademark expressive face, which seems even more elastic after his weight loss. If anyone should be allowed to open every set for the rest of their lives by addressing their appearance, it’s Ryan Hamilton. 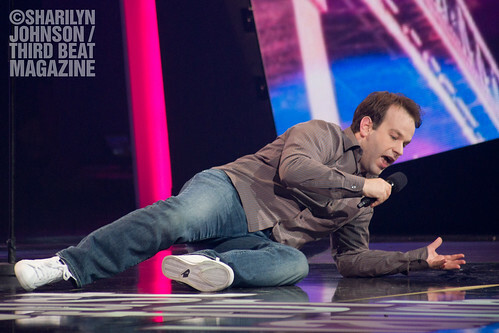 He compared his chipper looks to that of the logo of a comedy club, rather than the guy performing at it. His bit about not being satisfied with his supposedly-carefree single status was gold. 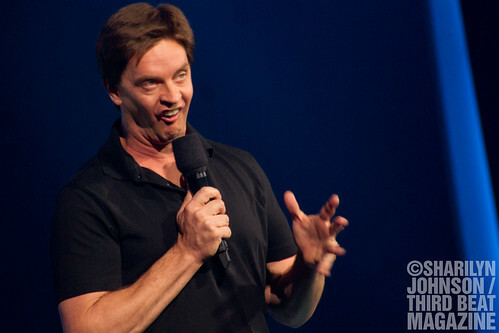 Jim Breuer brought the most energetic performance of the night, talking mostly about being a father, and taking his kids to a drive-through safari for free via a Pepsi promo. He was the final act of the show, but the first to make the television cameraman situated next to me audibly chuckle. 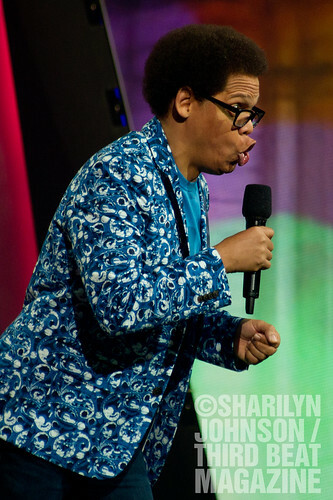 Amazing show, review and photos! These photos are nothing short of amazing Sharilyn! !